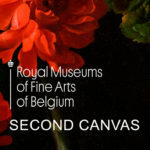 Second Canvas Fine Arts Belgium immerses you in the beautiful collection of the Royal Museums of Fine Arts of Belgium. Zoom in on hidden details and let yourself be swept away by the curator who gets you to know all the corners of the paintings. Share your favorite detail or watch these gems on your TV screen at home or at school. Second Canvas Fine Arts Belgium, made by the Royal Museums of Fine Arts of Belgium in collaboration with Madpixel, starts this exploration in the Dutch Golden Age. The application was developed on the occasion of the opening (February 2019) of a renovated wing of the Musée Old Masters Museum which is entirely dedicated to a hundred paintings from the ‘Dutch school’ of the 17th century. The five works of art that are currently being presented via the Second Canvas app show that, in addition to Rembrandt and Frans Hals, less well-known contemporaries also left beautiful paintings.